When relief ace, Luis Arroyo hurt his arm during the 1962 season, the Yankee bullpen struggled to make up for the devastating loss. 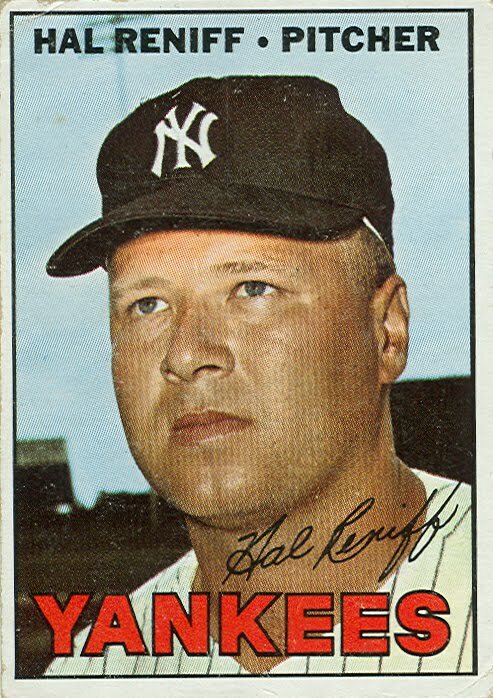 The front office decided to go into New York’s farm system to find a successor and his name was Hal Reniff. A pudgy right-hander nicknamed “Porky,” Reniff responded well to the challenge. Reniff, who had been born in Ohio but grew up in California, had been a starter in the Yankee farm system and a good one at that. He had won 20-games for New York’s Class C team in Modesto, CA. But when he went to spring training with the parent club in 1961, then Manager Ralph Houk told him he wanted Reniff to become a reliever. At first, the pitcher resisted but when Houk made it clear the choice was the Yankee bullpen or back to the minors, he made the switch. 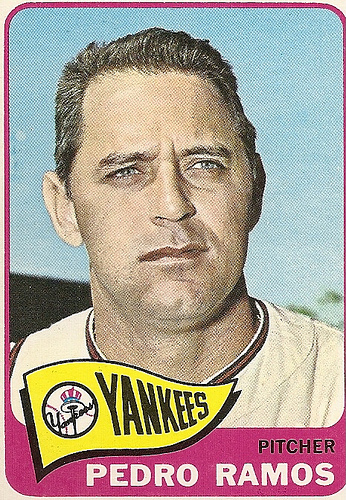 After getting sent back down to Richmond to work on the transition, he was recalled to the Bronx that June and put together a strong half-season for that ’61 Yankee team. He appeared in 25 games, won both his decisions, saved two and compiled a stingy 2.58 ERA. But he didn’t make that year’s Yankees’ World Series roster and then spent most of the following season in the military, while Arroyo’s arm was shutting down. Returning to full-time action the following year, he won 4 and saved 18, establishing himself as Houk’s best reliever on that 1963 Yankee pennant-winning team. He then pitched brilliantly in the ’63 World Series with little fanfare as his three scoreless and hitless innings of relief were lost in the Dodgers four-straight-game destruction of the Yankees in that Fall Classic. The following year, Reniff developed some arm problems and Yogi Berra began using Pete Mikkelsen as his closer. When Mikkelsen faltered, the Yankees brought in Pedro Ramos. Still, Hal pitched well when called upon. His seven-season pinstripe career ended in 1967 with 41 career saves and an 18-21 Yankee record, when he was sold to the cross-town Mets. When the Amazin’s released him, Reniff returned to the Yankee farm system, pitching for Syracuse for five more seasons until he hung up his glove for good. In an interview for Maury Allen’s book Yankees, Where have You Gone, Reniff told the author his best friend on the Yankees was Roger Maris. Like Maris, Reniff was mostly quiet and reserved during his playing days. 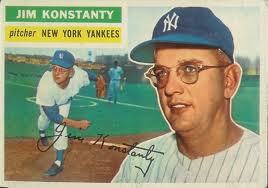 He liked to do his job and go home and he hated all the media attention the Yankees attracted wherever they went. Back in the nineteen fifties, slugger Mickey Mantle would begin drooling a week before his Yankees were scheduled to play a series against the Washington Senators. Why? There were three reasons, and their names were Chuck Stobbs, Camilio Pascual and today’s Pinstripe Birthday Celebrant, Pedro “Pistol Pete” Ramos. They formed three fifths of Washington’s starting rotation back then and it seemed as if Mantle hit three-fifths of his 536 lifetime home runs off the trio. Pascual and Ramos were both from Cuba and both were actually very talented big league pitchers. In fact, I saw Pascual pitch a couple of times live at Yankee Stadium and several times on television and to this day, I believe he belongs in Cooperstown. Ramos was a notch below his countryman in talent but it would end up being Ramos who would help pitch the Yankees into a World Series. Pedro pitched his first seven big league seasons for the Senators (who moved to Minnesota and became the Twins in 1961) and achieved double figures in victories in six of them. Unfortunately, thanks in large part to the anemic offense and porous defense of those Washington teams, Ramos also lost 112 games during that same span. He was then traded to the Indians, where he pitched decently for almost three seasons until September 5, 1964 when Yankee GM Ralph Houk acquired him for two players to be named later, who would turn out to be pitchers Ralph Terry and Bud Daley. Yogi Berra had replaced Houk as Yankee skipper that season and the team took a long time to respond to their new Manager and were in danger of not reaching the World Series for the first time in five straight seasons. Berra’s starting rotation and bullpen were running on fumes. 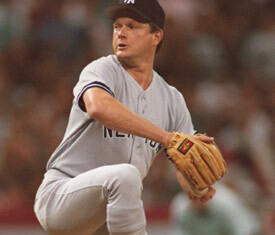 The additions of Mel Stottlemyre and Ramos proved to be the perfect elixir to what ailed Yankee pitching. Ramos took over the closer role and pitched brilliantly, saving eight games down the stretch as New York pulled off a late-season surge to win the AL Pennant. Unfortunately, he had joined the Yankees to late in the season to qualify for the World Series roster so he was forced to watch helplessly as the Cardinals beat New York in that year’s seven-game Fall Classic. Houk then replaced Berra as Yankee Manager with Johnny Keane right after that series and Ramos spent the next two years as the closer on a Yankee team that was not able to generate too many leads that needed closing. Still, Ramos did save a total 32 games for New York during the 1965 and ’66 seasons before getting dealt to Philadelphia for relief pitcher Joe Verbanic. He retired after the 1970 season with a lifetime record of 117-160, 55 saves and 13 shutouts. It seems Ramos was pretty much a wild man in his private life. In fact, his nickname “Pistol Pete” was only partially attributable to the right-hander’s fastball. This guy actually carried a gun with him off the field, almost all the time. He once used that gun to shoot out the screen of his family’s television set when he objected to the channel choice of Mrs. Ramos (who quickly thereafter became the ex-Mrs. Ramos.) He also used his gun after his playing days were over when he got himself involved in Little Havana’s drug business, which landed him in jail in the early 1980’s. 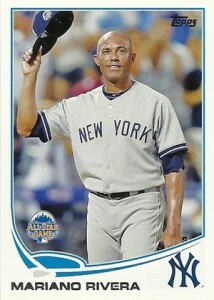 Ramos shares his April 28th birthday with this former Yankee pitcher. I was never a big Steve Howe fan, but I remember reading an article about one of Howe’s seven suspensions for substance abuse in which Yankee Captain, Don Mattingly was quoted and suddenly feeling sorry for the one-time NL Rookie of the Year reliever. According to Mattingly, Howe was one of the hardest working members of the Yankee roster and an outstanding teammate. For whatever reason, George Steinbrenner loved giving former big league star players with drug problems second chances. Howe was one of the Yankee owner’s first reclamation projects and in the strike shortened season of 1994, he repaid the Boss by once again becoming one of the most effective relief pitchers in baseball. He saved 15 games in that abbreviated year and posted an ERA of under two, helping the Yankees build a huge lead in their division only to have the work stoppage destroy their season. In 2006, Howe was on a highway in California, driving home to Arizona in his pickup truck following a business meeting. Witnesses say the truck just drifted onto the medium and rolled over. The former pitcher was not wearing his seat belt at the time and he was ejected from the vehicle and killed instantly. He was only 48 years old at the time of his death. Tests later revealed that Howe had methamphetamine in his system at the time of the crash. Having smoked cigarettes for 17 years of my life, I will never wonder why people cannot overcome their addictions to chemical substances that temporarily relax them and provide a buzz. When we are young, we think we are immortal, able to do anything we want without fear of hurting ourselves. When wiser elders warned me I would find it very difficult to quit cigarettes, I laughed them off. But within a few years of taking my first puff, I was so hooked that I would find myself lying to my family so I could sneak away and grab a smoke. The drug of choice first takes over your body and then controls your life. Those that don’t quit fail to reach a point at which they know their lives will be better without the drug until it is too late, or never at all. I’m glad I was able to do so but again, I will never wonder why stars and celebrities like Steve Howe could not. As bad as the Yankee offense was in the late 1980’s and early ’90s, their starting pitching was even less effective. Tim Leary, Andy Hawkins, Dave LaPoint, Chuck Cary and Mike Witt were the team’s top five starters during the 1990 season and the quintet had a cumulative record of 32-69 in their 133 combined starts. Lee Guetterman led the team in victories that season with 11, pitching out of the bullpen and reliable closer Dave Righetti, had 36 saves. In fact, I remember thinking that particular Yankee team would have been better off letting their relievers start games instead of finishing them. In addition to Righetti and Guetterman, New York had Greg Cadaret and Erik Plunk in the bullpen that season. To make their horrible pitching situation even more complicated, following that season, New York let the 31-year-old Righetti become a free agent and sign with San Francisco for $10 million over four years. When they replaced Rags three weeks later by signing 34-year-old Steve Farr to a three-year $6.3 million deal, I was truly disappointed. I should not have been. At the time, Farr was a seven-year veteran who had been an OK Royal closer in 1987 and ’88 before losing his job to Jeff Montgomery the following year. 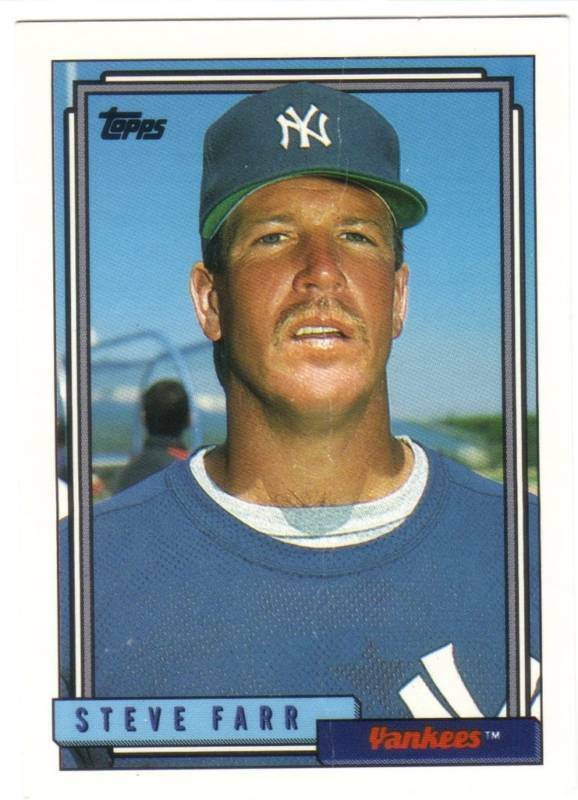 He was able to win thirteen games as a part-time starter and reliever for Kansas City in 1989 but if he lost his job to a guy named Montgomery, how could the Yankees expect him to replace one of the top closers in the game? Letting Righetti go turned out to be as wise a move as making him the Yankee closer was in the first place. After an OK 24-save first season in San Francisco, the bottom fell out of his career as he accumulated just four saves during the final four seasons of big league pitching. Farr, on the other hand, performed admirably for New York, saving 78 games during his 3-year tenure in the Bronx including a 30-save, 1.56 ERA 1992 season. Steve was 36-years old at the end of his final contract year and when his ERA ballooned to 4.21 in 1993, New York decided not to re-sign the right-hander and handed the 1994 closer role to Steve Howe. You have to give that Yankee front-office credit for their closer decisions during the past quarter-century. Making Rag’s a reliever, replacing him with Farr after Righetti’s last great year, replacing Farr with Howe, signing John Wetteland and then replacing Wetteland with Rivera represents a pretty good track record. Farr shares his December 12th birthday with this former Yankee shortstop, this former Yankee utility infielder and this one-time Yankee reliever. 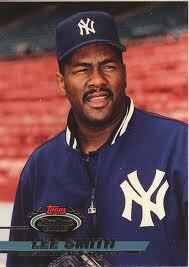 Raise your hand if you can remember when Lee Smith was the Yankee closer. You remember Smith, I’m sure. He was baseball’s all-time saves leader until Trevor Hoffman notched his 479th save during the 2006 season. A native of Jamestown, Louisiana, Smith had an 18-year big league career that saw him wear the uniform of eight different teams. The Yankees got him from St.Louis on August 31, 1993, after New York’s regular closer, Steve Farr went on the disabled list. Unfortunately for both Smith and the Yankees, he didn’t get much of a chance to do what he did better than anybody in baseball during his short tenure in Pinstripes. During the month he was a Yankee, the team was only in four save situations and Smith saved three of them, including career number 400. When asked about his inactivity, the huge right-hander told the Big Apple sports press he didn’t know why the Yanks got him in the first place because what they really needed was a starting pitcher. Sure enough, when Smith’s contract expired at the end of the 1993 regular season, New York let him sign with Baltimore, where he would lead the AL in saves the following year. Many of the players who played both with and against Smith feel he deserves to be in Cooperstown but he’s never received more than 48% of the sportswriters’ Hall of Fame votes. His one achilles heel was the postseason. He only played fall ball twice during his long career, once with the Cubs in 1984 and again with the Red Sox in ’88. Both teams were eliminated in the LCS round and though Smith did have one save, he also lost two decisions and had a combined ERA of 8.44. Smith shares his birthday with this former Yankee pitcher and manager, this former Yankee catcher and this one-time Yankee pitching prospect.